Don't you want a smile that transforms your life? You don't have to have those unattractive silver amalgam fillings any longer. New materials can restore your teeth without any visible evidence! 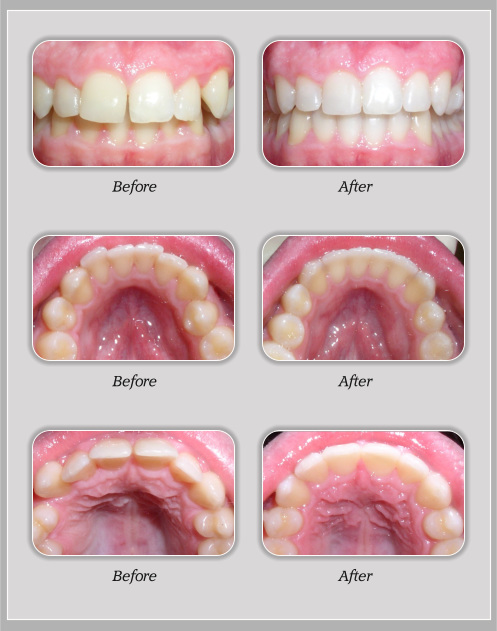 Porcelain veneers can close gaps and remove old stained fillings. And they stay that way! Invisalign "invisible braces" can improve your ability to clean your teeth, function better and, of course, look great! 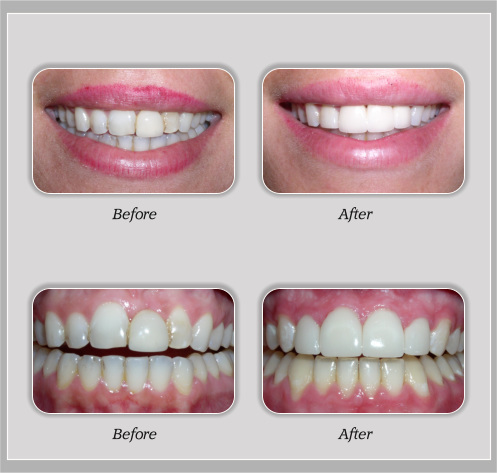 Porcelain veneers can change the shape and position of teeth without the need for braces.Imagine, straight teeth in only two visits! 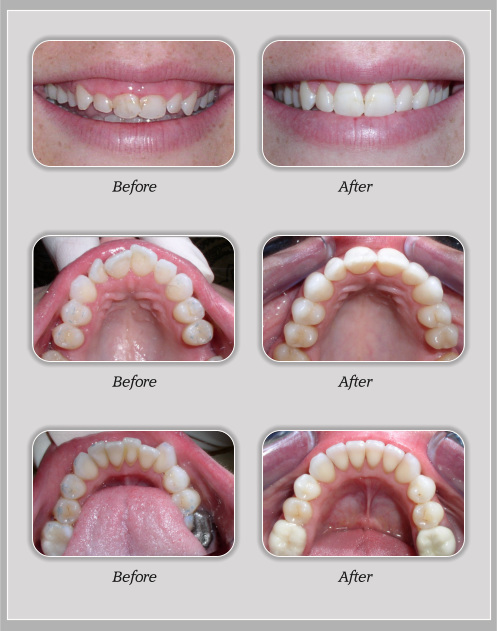 Invisalign can straighten those lower front teeth that have gotten slowly more crowded over time. No matter your age! Sometimes previous dentistry just is not well designed, but it doesn't mean it has to stay that way! 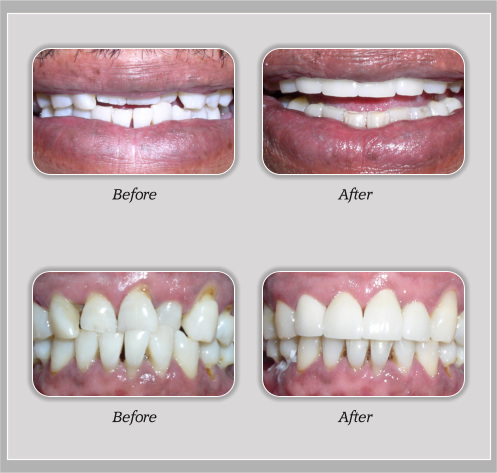 Broken teeth can be repaired to look even better than before they broke. her properly proportioned teeth instead of short, boxy looking teeth. Sometimes dentistry that looked good at one time wears out but it doesn't mean that it can't be fixed and even improved upon! 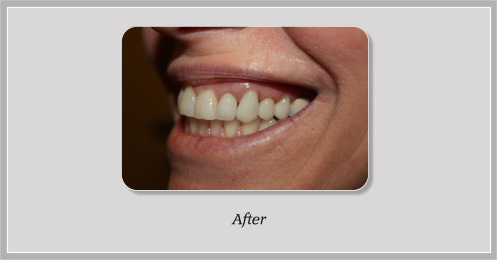 Chipped, broken, stained teeth can be restored to their original beauty in only 2 appointments with porcelain veneers! 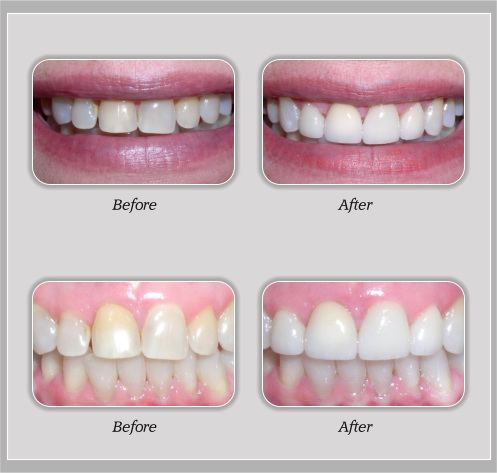 Unevenly worn and misaligned teeth can be corrected with porcelain veneers! No case is too far gone to have a nice result that you can be proud of! How much easier will these teeth be to take care of? And how much nicer to smile with? This could be you! Those old crowns that are opaque and bulky can be replaced with the latest technology to fool even your mother! Which are real teeth and which are porcelain crowns? Can you guess?